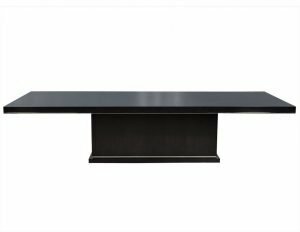 This dining table is a show stopper. The top has a black, hand-rubbed satin finish and two leaves to extend for maximum entertaining potential. 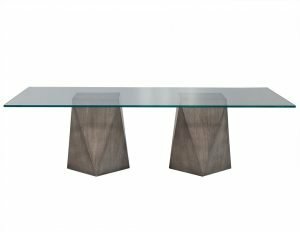 It sits atop a contrasting, mirrored glass x-base adorned with distressed silver-gilded wood trim. Chic and refined, this piece is a dazzling addition to a true trendsetter’s dining room!